Alcyonidioides mytili was first recorded from the British Isles. This photograph is from Bering Island, Commander Islands, northwest Pacific Ocean. 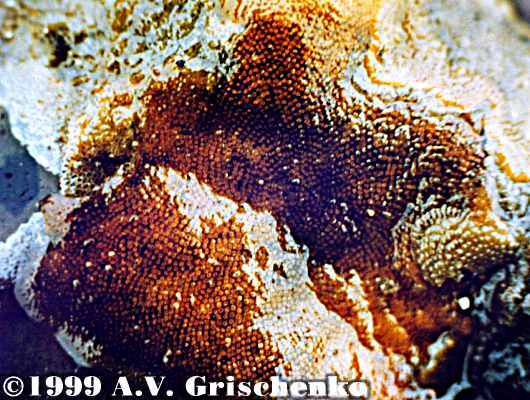 Photographed in intertidal zone by A.V.Grischenko, Saint Petersburg State University.